'this gift.....it hasn't begun with you, it's begun by God's providence, and His fatherly care.' Brittany & Eric are one of those couples who, when they are together, are just so full of love and happiness that you can see it on the outside. We were excited when they booked with a us a year and a half ago and since then, as we got to know them, decided they're the kind of people you just easily become friends with! On their wedding day they were no different. In a room packed with family and friends, these two celebrated a day and a night to be remembered! 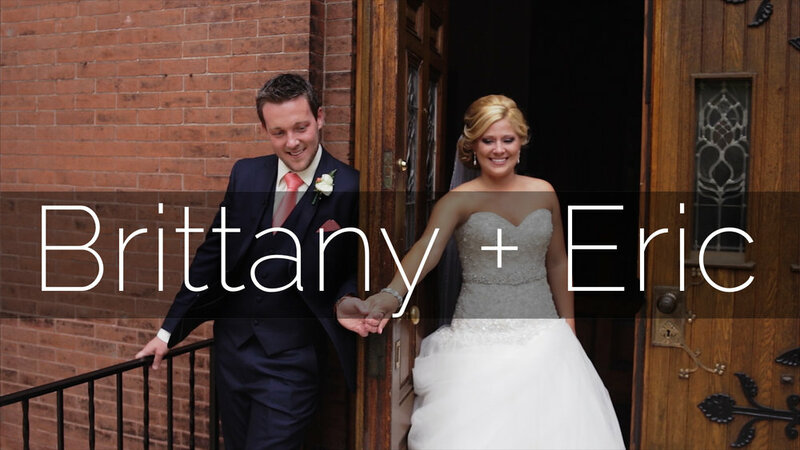 What an incredible day we had with Brittany & Eric this past Saturday! We are excited to produce their full wedding film but in the meantime, want to introduce their preview trailer here! These are two amazing people and their love is so obvious! They had a great team of vendors and a room full of their closest friends and family to celebrate in a big way!Stay tuned for their Feature Film!